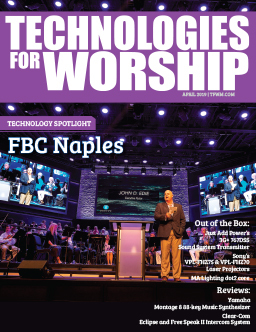 When First Baptist Oviedo built our current worship center five years ago it was designed to accommodate the latest AV technology to enrich the worship experience. We have some 4,000 members and a history that dates back to 1869. The new worship center, which seats 2,400, is at the heart of our campus in downtown Oviedo, Florida. We focus a lot on the arts when it comes to worship. Video and audio play a key role in our services; we display IMAG and song lyrics on two large projection screens flanking our stage, and quality sound is important for both the our traditional 9:15am service with choir and orchestra and a more contemporary, band-driven service at 11am. Monitors across the worship center feed services to our preschool, atrium and bookstore. The big screens also offer speaker support and display video roll-ins and graphics for concerts, conferences and special events. In January, we’ll go live with weekly broadcasts of the 11am service on TV45 in Lake Mary. We are a full 1080i HD house with Panasonic AV-HS400 switchers, Sony EX3 camcorders with Canon HD zoom lenses, Christie 10K projectors, an Avid VENUE audio console, an Avid Pro Tools HD console with C|24 control surface, exploded clusters of JBL speakers, Sennheiser mics, a large lighting complement and Apple Final Cut Pro editing systems. Our technical team is comprised of three other full-time and two part-time employees and a great team of 65 volunteers. 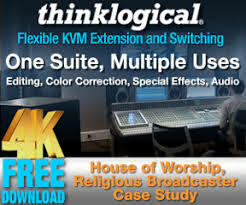 With such a big roster of AV equipment and content that changes constantly, we need a flexible, easy to use control system that keeps everything operating efficiently. Our original control system featured proprietary hardware and software. There was a learning curve associated with using it, and we couldn’t afford to keep calling the programmer every time we wanted to make a simple change. We were definitely in the market for a new control system, so I did a lot of research to see what else was available. 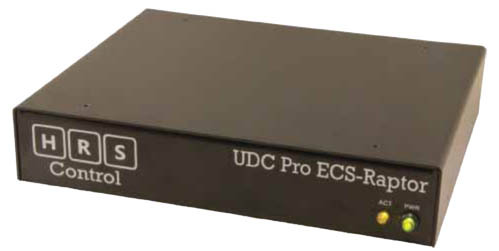 I discovered High Resolution Systems and its new UDC Pro Raptor – a product built for the end user, not just the programmer. 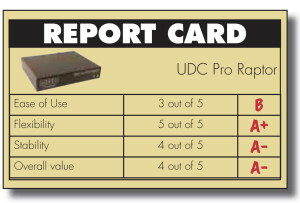 A Linux-embedded control server designed for permanent AV installations, Raptor significantly lowers the cost to users compared to traditional control systems and comes with a free version of High Resolution Systems’ popular UDC (Universal Device Control) software so customers can build their own workflow configurations. Raptor’s interface is as easy as drag-and-drop then simply linking commands to the different devices. 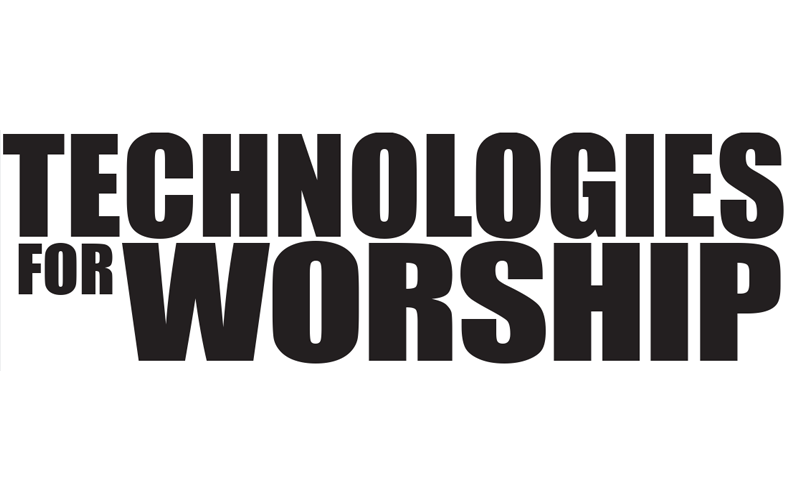 That’s what we were looking for – a user-friendly solution to help customize our worship center. We can throw it on the latest iPad or iOS device so we can walk around and control our facility without being tied to the equipment room. Since not everyone needs to control the same things, Raptor enables us to set up a particular set of controls for specific devices. We can easily make upgrades and changes on the fly without hiring an outside programmer, and that’s huge for us. We can even integrate our branding into the GUI interface so it has our own style and feel to it. With minimal training and online webinars, we were able to install Raptor ourselves. Learning the Raptor software took me an hour or two. It’s very graphical with drop-down menus linking to the buttons. There’s no code to master. In fact, Raptor software is so easy to use that I’m able to write macros that enable me to make a large number of changes with one button click. Switching from our traditional to our contemporary service, with its change of music and style of worship, used to require patches and a lot of clicks and buttons on the computer to meet the services’ different equipment needs. Now, with a macro I’ve written, I hit one button on my iPad to switch equipment control from one service to another. Raptor also integrates with our Digital Signal Processor (DSP), which is crucial for us since we have different types of EQs on our two services. I’m able to choose the traditional EQ for the 9:15 service then change the DSP for the 11 o’clock service when I select the contemporary EQ with one press on my iPad. An additional feature allows us to trigger videos via timecode, so we’re able to keep video in sync with the music during services. We can also integrate our projectors and sound system with the choir rehearsal room, orchestra room and conference room on the third floor, all through Raptor and its touchpad. We can route different audio to different sections of our atrium – west, east or center – sending FOH audio, audio from a portable system for a small meeting, signage audio or music. We simply navigate to the audio tab in the Raptor software and select on the iPad what we want to send to different areas. Or we can use a macro to route the same audio to all areas. Since Raptor is not hardware-specific, when we upgrade and invest in new equipment it just gets added to the control system. We don’t have to buy a whole new box. Raptor has unlimited expandability, so we won’t have to replace it every couple of years. It will grow with us. In our main worship center I’m already looking to expand the integration of Raptor with our ETC EOS lighting console. When we explored replacing the previous control system we wanted to integrate all our systems under a GUI interface though one easy-to-use box. 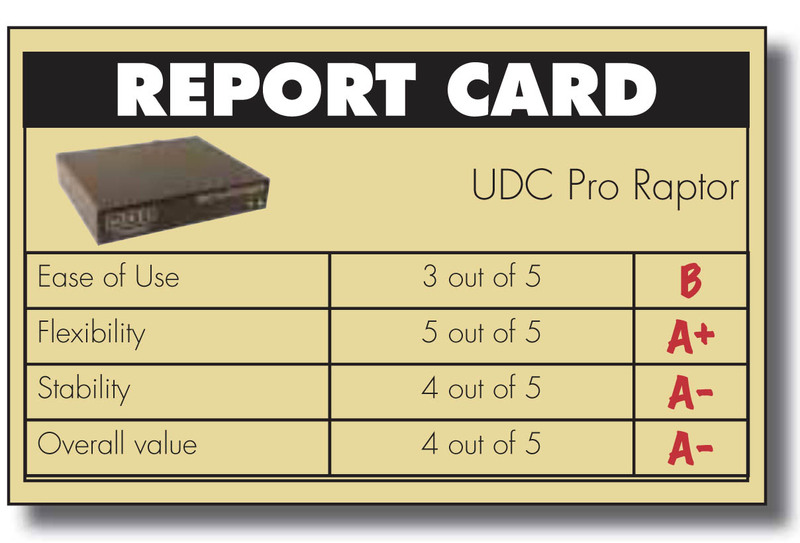 That’s what we found in UDC Pro Raptor. A native of Pennsylvania, Josh Felix graduated from the Word of Life Bible Institute in Pottersville, NY and Full Sail University in Winter Park, Florida, where he was awarded a BA degree in Film. He has been Technical Director at FBC Oviedo since November 2010.